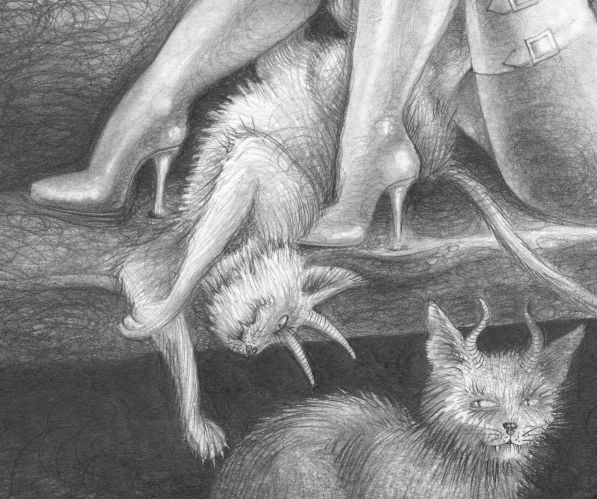 Artwork details: pencil, 21 x 12.5 inches (53 x 32 cm), 2006. The title of this one is pretty self-explanatory, really. 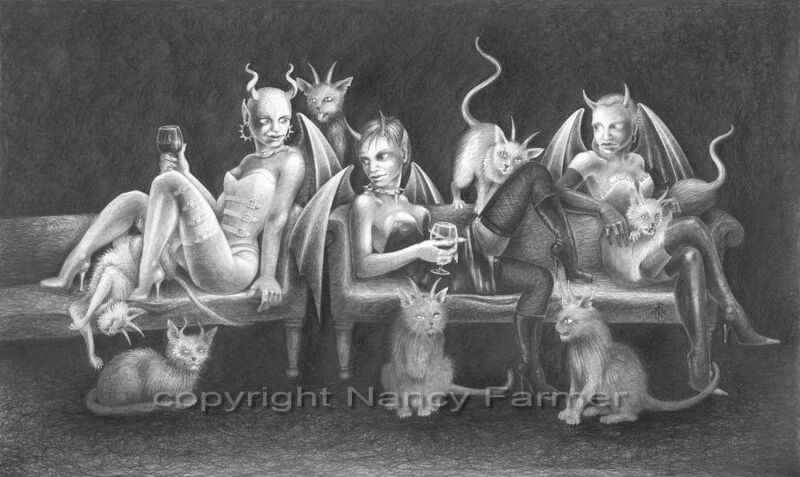 I liked the idea of cats with horns, although after the seventh one I had rather had enough of them... scroll down to see a close-up image. There was a pre-cursor to this drawing, which I called simply Conspiracy. That's where the horned cats firs appeared.